I've never really been a sports fan, but March Madness is practically a holiday for Kelly. To each their own, right? Well, in an attempt to bring me into the cult, Kelly suggested a little wager. She persuaded me to fill out a bracket with the promise that whichever one of us got the most winners correct would get a prize. What reward could tempt my sports-hating heart? A planner accessory of the winner's choice, courtesy of the loser. I decided to add a little bookishness to the bet and suggested that the winner would also be able to chose any book for the loser to read – with a deadline, of course. I ended up losing (BY ONE GAME!) but had fun checking scores and following some of the tournament's best stories. 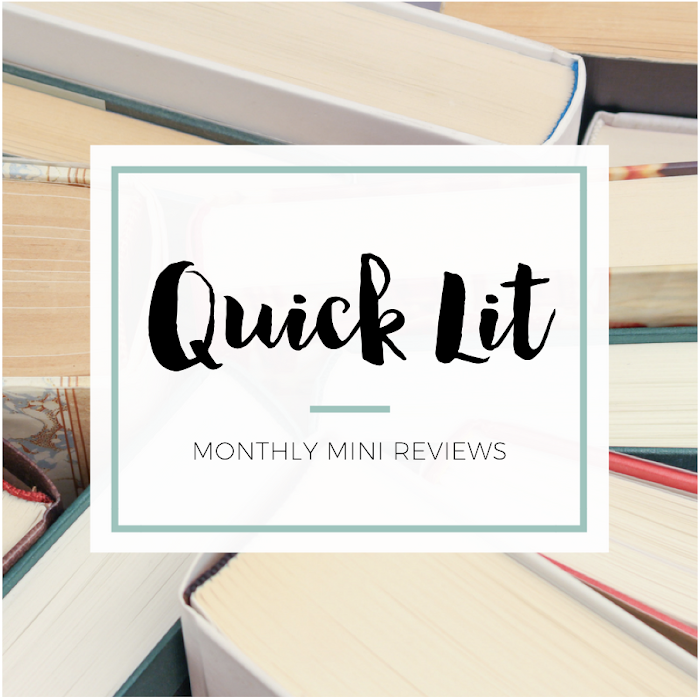 Throughout the month, Kelly and I discussed what book might we might choose if we won. 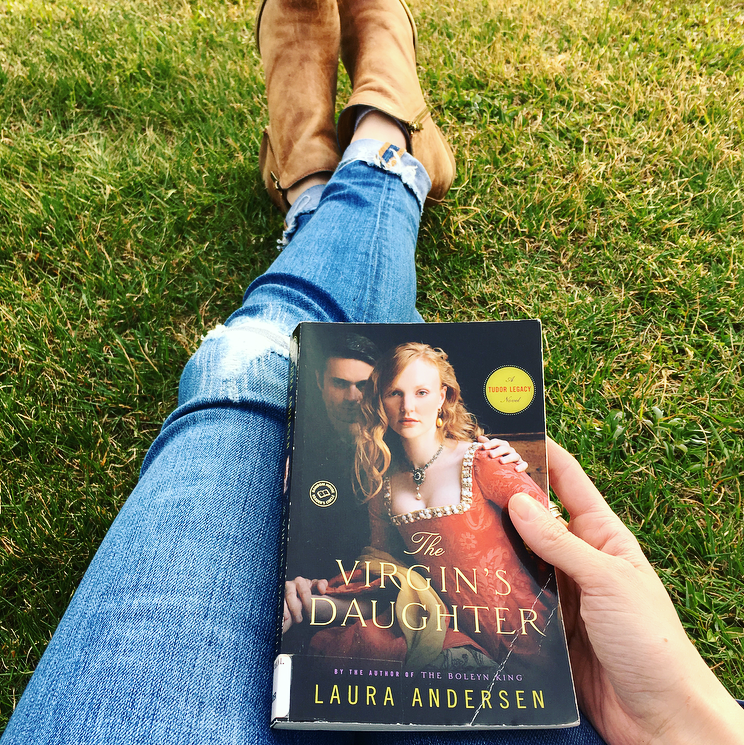 So, I wasn't surprised when she delivered the news: I'd be reading The Tudor Legacy Trilogy by Laura Andersen. It's an alternate history trilogy that imagines what would have happened if Queen Elizabeth I had married and had a daughter. It's a companion to the Boleyn Trilogy, which I read and enjoyed a few years ago after Kelly recommended them. She's been begging me to read this Tudor series ever since, but she knew that I wasn't super motivated to do it. The Boleyn books were fun, but I had gotten a little tired of the angst by the end. She was smart to use my loss as an opportunity to make me pick up this series because I honestly don't know when I would have gotten around to it. And oh my goodness, I would have been missing out! She swore up and down that these would be a better fit for me, and I should have trusted her. She nailed it with this recommendation! I'm so glad our silly wager "forced" me to give this series a chance because it's a new favorite for me. Let me tell you why! The Virgin's Daughter is slightly different than the other two books because it primarily focuses on Lucette, Dom and Minuette's eldest daughter. She has a head for puzzles and is sent to France in the hopes that she can help unravel a mystery brewing there. I'll be honest – this book is my least favorite in the series. I won't spoil anything, but I wasn't crazy about the romance and found the mystery a little too predictable. However, Andersen brought the time period to life, and it was evident that she'd really researched history. She might be inventing an alternate version of it, but you can see how much it's grounded in fact about life during Elizabeth's reign. My favorite aspect was getting to see the Courteney family interact. The characters intrigued me from the very beginning! And I could see where Andersen was laying the foundation for the conflict that was to come, which I appreciated. I So Liked It, but it didn't wow me. Thankfully, I dove right into the second book – and that's when the series stole my heart! The Virgin's Spy is centered around Stephen, Dom and Minuette's eldest son and heir. The constant comparisons to his father have left Stephen yearning to prove himself, and so he accepts a position in Ireland. I know almost nothing about Ireland during that time period, but I was immediately swept up in the story. And though Stephen is at the heart of the book, I loved how deftly Andersen switched between the various characters and their storylines. The conflict and relationship dynamics that were established in the first book begin to come to fruition in this one, and it made for a gripping read. I thought it was a more fast-paced story and couldn't put it down! It might be due to the fact that I was more invested in Stephen and in the twins, Pippa and Kit, than I ever was in Lucette. I don't know why I just never connected with her! Regardless, I loved the friendships, the hints of romance, the complexity of the tension in the dual roles of mother/daughter and Queen/Princess that is explored more in this book. The political intrigue was definitely exciting in this book, but it's the characters that made it a favorite. One of the reasons that I love historical fiction is the way it brings the past to life. Instead of reading that a rebellion happened in so-and-so years and resulted in such-and-such political appointment, I get to experience the desperation and the hope as if I was there. I get to see a man at war with duty and reality, a mother bent on revenge, a young woman of cunning intellect but limited authority who makes the most of every opportunity presented to her. Dull facts are transformed into fictional people who feel real in my mind. Andersen took a time period that I'm only mildly interested in and made it come to life! I So Loved It and picked up the last book, praying it wouldn't let me down. I'll be honest: I was so nervous to start The Virgin's War. I'd been shocked by the depth of my love for the second book, and I thought there was no way the third could top it. However, I texted Kelly before I started telling her, "If ______ ends up with ______, I'll give this book 5 stars just for fulfilling all my shipping dreams!" She responded with 5 gold star emojis. Haha! But guess what? This book truly earned a full five-star rating for me – and not just because my romantic dreams came true. I read this late into the night, and experienced every possible emotion. I laughed, swooned, raged and legit cried over the twists and turns. I marveled at how invested I was in these characters... and how much I already wanted to re-read. 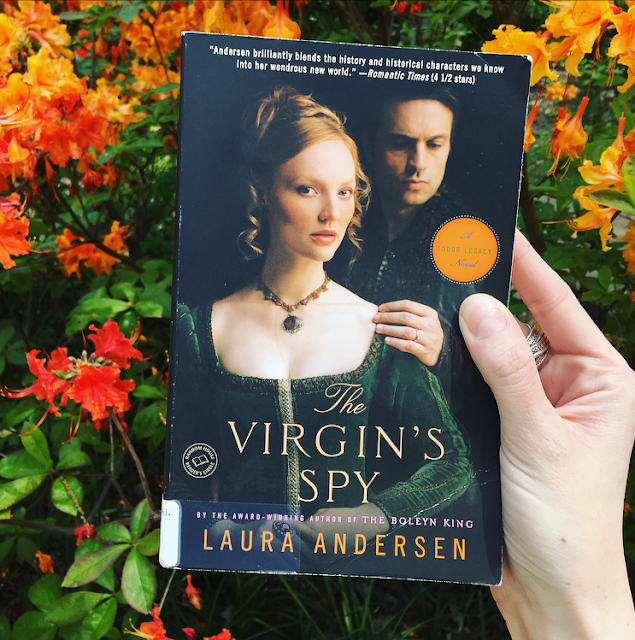 I don't want to say anything about the plot because I think it's best if you discover it for yourself, but I will note that Andersen builds upon the foundation she laid in the first two books and delivers a stunning and satisfying story of love, honor, power and duty. From the deep bond of friendship to the complexity of family, this book stole my heart. There are so many things I loved about this series, but my character-development-loving heart has to focus on that aspect. I just love these people, and they AREN'T EVEN REAL! I'm somewhat interested in this time period, but Andersen made me love it. I raced through the story because the high stakes and deeply divided forces made for fascinating reading. I loved that Andersen really depicted the fact that England was struggling on multiple fronts with threats and tension in Ireland, France, Spain and within their own borders. Power comes with a price, and that was evident in this series. Honestly, I might joke that I'd like to be a Queen but I don't have the stomach for this level of political maneuvering. I was stressed just reading about it! 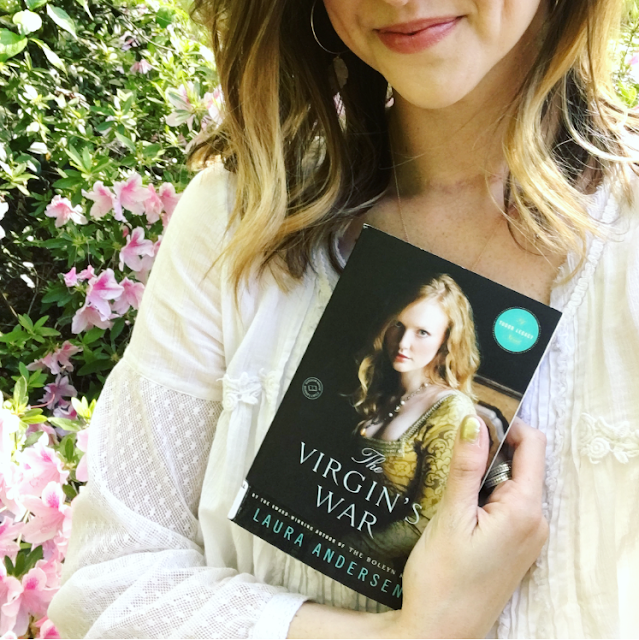 But, in case you can't tell, I was so happy when I finished The Virgin's War and realized that I could firmly declare that I was So Obsessed With It. That's how a loss truly becomes a win! 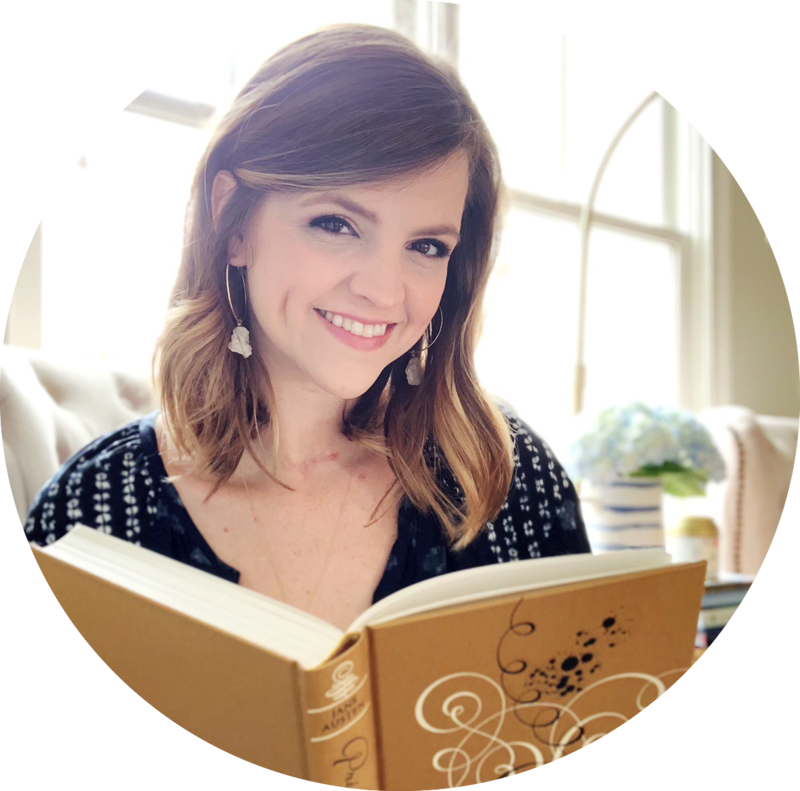 I've chatted before about how I'm sometimes hesitant to read books that people have recommended, even when it's someone I trust – like Kelly! But this experience was a reminder that I need to keep an open mind because I never know when a book will surprise me. And I hope this loooong review/ramble will convince YOU to give these books a shot. Whether you're a fan of historical fiction or in search of some character to ship, there's so much waiting for you in these pages! I absolutely love this post!! I read The Virgin's Daughter a couple years ago and really liked it but haven't made it to books 2 and 3 yet. They're the sort that is always a bit of a struggle to pick up mood-wise but once I do I'm so glad I did! And the fact that each book got better and better really makes me want to get to them. I think I'll have to reread the first book just to get my bearings but I'll know there's excitement and ships to look forward to :D Excellent, persuasive reviews, Hannah!